Back in the day I watched the 1998 movie Lock Stock and Two Smoking Barrels, and liked it. Then I watched the 2001 TV spin-off Lock Stock which was okay I guess (it was notable for having Martin Freeman in a couple of episodes, in one of his early roles). But what really grabbed me was the theme music, an instrumental version of a song called July by Britpop band Ocean Colour Scene — possibly because another of their songs had been used as the movie’s theme song. 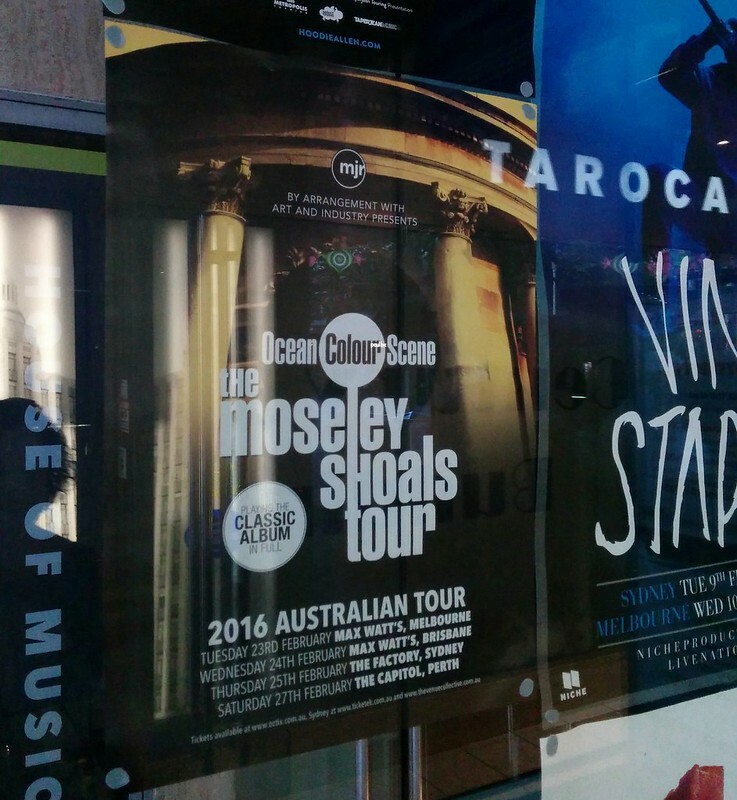 Ocean Colour Scene were pretty big in the UK, with their second album Moseley Shoals (1996) being possibly their best known and most successful. I’ve bought quite a few of their albums over the years, and they’re still going. But they never seem to have made it internationally. I’m not sure I could name a favourite song; they’ve done some great ones, but one I will note as being thematically up my alley is Mechanical Wonder — as author Simon Fowler wrote: I wrote this walking the dog on the Grand Union Canal and it yearns for a time before the roar of the M40. To my surprise, for the first time, they’re coming to Australia, as part of their tour marking twenty years since Moseley Shoals was released. Marita found it first, and (spoiler alert) has bought me tickets for Christmas. Honestly, I thought I’d have to try and make it to England to see them in person. Instead I’ll only have to make it into the city. How good is that?! If you’re a closet OCS fan, or like the Britpop genre, book fast — the Perth show has already sold out.